I did not encounter this problem for my user(towhidd). Also everything is working pretty in my local server. Can I get the user details which you are now encountering? 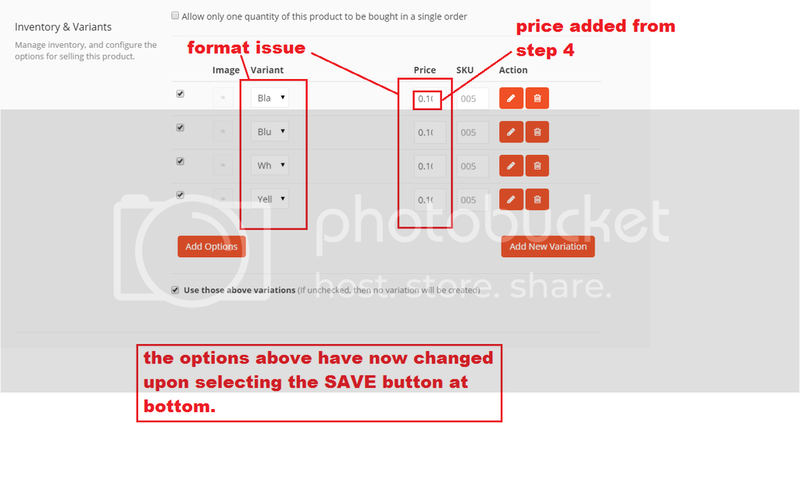 Once I have sets all the variation price then click save button and it saves as well. Ok I have redone this and now it worked fine but previously it was not working- how weird, has its own mind.! Ok I think only the product variation formatting issue as seen on the second screenshot needs correcting so sellers can view/ add prices. According to your format screenshot I did not get any inconsistency. Format is black, blue, white and yellow. You have sets those variation product price before click update button and after click it is in same order and price is alright. 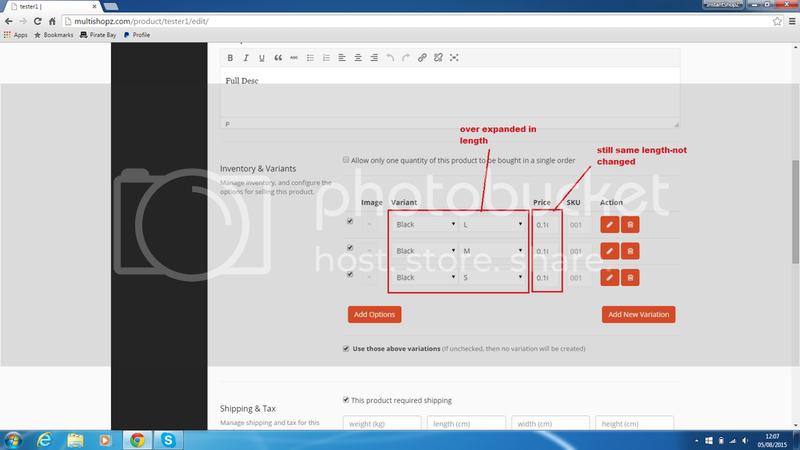 Please see this screenshot and I have labeled the – variant and price columns with formatting issue- you cannot view complete length. Please paste this code in the theme's style.css file and see what happen. Hello Towhid, I don't know nothing about files/ template/ coding I had your team install this plugin. So I will require you to help resolve it with your expertise.! You have my login in the beginning of this post so please add and test. Thankyou. I have increased the width of the variation selection field. Can you please check the site now and let me know the result. No still no changes to the 2 columns. The option boxes have not changed in length. Please test it and update me once ready. Please clear the browser cache and let me know the result. Now, check please and let me know the result. ok now ive checked and in Google Chrome it shows incorrect format but in Internet Explorer it has been corrected. Screen shot attached. need it to be correct in GOOGLE CHROME aswel. Please allow me sometimes. I will fix this after completing all of my works. And, replace <td style=”width:15% !important;”> with the above code. Hello Towhid, I Have no knowledge about technical things and which code to add where in the files. You will have to insert the code and check. As previously stated in this post I have had your team install Dokan. Please add the code to the relevant file. Thankyou.